I was watching television last night and Fox Wilmington kept teasing a story about prom limos and how they might unauthorized to drive. I don't care about prom. But I do care about limos ... especially since we've hired one for the wedding. The woman we worked with was great and has a great reputation, but I still had a bit of worry because it was something I didn't think about. I just trusted her and booked. I didn't even know there was a way to look at limos before you booked. Not even that, I didn't know that unauthorized companies were able to exist and that there was a chance that a wedding party wold be riding around in a limo that actually wasn't legally allowed to carry passengers. Oh the things you don't know you need to worry about when you accept a proposal. What I learned yesterday is there is the Federal Motor Carrier Safety Association (FMCSA). You can head to the FMCSA's website and there is a box on the right that says: Search US DOT# or company name. When you type the limo company name or number in the box, you'll be brought to a second page. There, you want to look for an out of service date. If there is one, it means that carrier is not authorized to operate. From that page, you are also able to see what the carrier is authorized for (passengers, property), the address of the company, the number of drivers, and more. The news report also said that licence plates should have "for hire" on them, so keep that in mind as well. This is such a great resource and I'm so glad to have stumbled on it. Transportation is such a large cost -- but it can definitely be larger if you get into an uninsured and unauthorized vehicle. I did check our limo company immediately, and it is authorized to drive. Thank goodness. 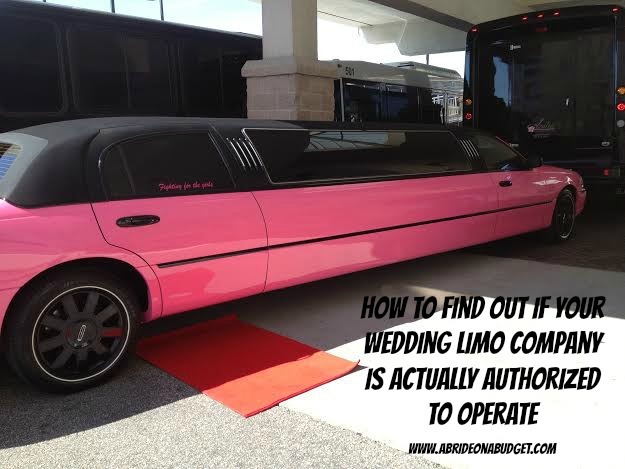 BRIDAL BABBLE: Did you know you could research your potential limo company? 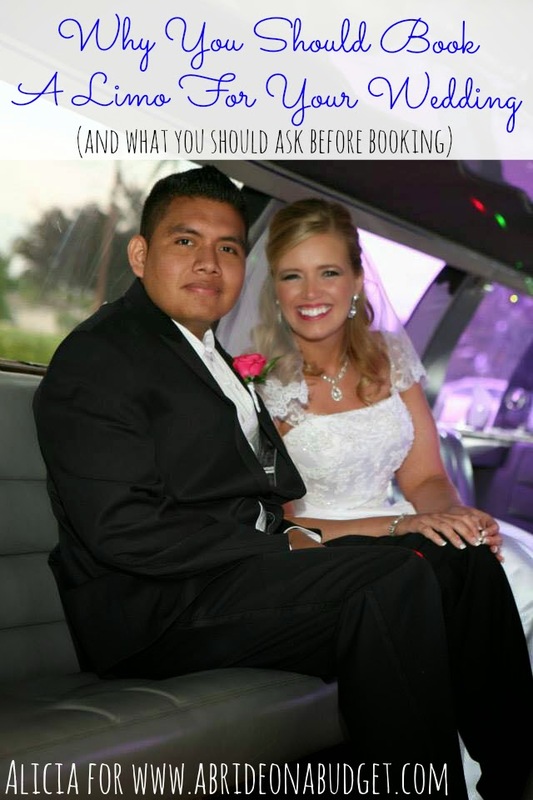 (and what you should ask before booking).